Why Train with Peaceful World Yoga? ​Peaceful World Yoga offers a Children's Yoga Teacher Training program that is certified through Yoga Alliance. Our training offers a comprehensive and engaging approach to guiding youth of all ages, from birth to 18. Developing the Whole Child is our premise for creating a program that fulfills all the layers of childhood experiences, and lays the groundwork for moving through the teen years and into early adulthood and beyond. This training focused on the Six Pillars of Peace, an infrastructure we created that allows teachers to integrate the elements of mindfulness and yoga-asana into any environment that works with youth. To us, developing the whole child means we engage the physical, emotional, mental, and spiritual needs of children and teens who are living in the 21st century world. Our training begins with discussing the early stages of development and how we can gently and compassionately guide our children to move through their life experiences with a greater sense of ease by providing tools and resources that build confident and resiliency. We open up the space for children to see that they have the "superpowers" within to grow, learn, play, communicate, share, love, and trust in a safe and compassionate environment. Building skills that will carry them into their adulthood and empower them to stand on their own two feet and to be a force of Peaceful Power in the world. At the end of our training, you will have built a valuable toolbox of resources that will enable you to create safe and trusting learning environments based on the needs of the diverse populations where you live and serve. We guide you to grow and develop relationships within and beyond your community, so that you can expand the awareness of mindfulness-based practices and build sustainability in your own neighborhood, town or city. In service to the teachers who take our training, Peaceful World Yoga provides on-going personal coaching and also offers, mentoring, practicums, workshops and trainings that support you in the work you create moving forward. We know this "work" can be challenging and we want you to know we will support you during each step of your journey by providing resources, self care tips, or someone to just talk to. "Your not just another fish in the training pond, you're part of the Peaceful Tribe"
When you join Peaceful World Yoga, you aren't just taking a training, you are joining a tribe of Peaceful Warriors. Peaceful World Yoga puts values first without sacrificing growth and expansion. As we diligently pursue our long-term visions and goals, we remain a values-based company that puts people ahead of profits. We feel the only way to meet our long-terms goals is to root them in our mission of being a peaceful, compassionate and kind community of diverse human beings who respect social justice, honor individuality, and live our lives as courageous warriors on the path to peace. We create worthy visions and dedicate ourselves to the values that are meaningful and enable us to relate deeply to the people, communities, environments, and the world around us. We nurture a culture of people (our tribe) by operating with integrity and train and recruit new teachers purely on the basis of their passions, talents, values, and the motivation to be self-starters and life-time learners who are driven to give back to their community and the world at large. We know that creating a business and sustaining a lifestyle is challenging with the cost of living rising and programs being underfunded and that's why we work with our teachers and trainees to co-create programs that integrate ethical standards that build trust and dedication in our team. We inspire our teachers to look for how PWY can grow and expand and encourage their voices and their ideas to be heard and shared so that together we can define the deeper purposes of our work with shared values and a vision towards wholeness for the children and community. PWY's approach is to seek teachers who want to collaborate with one another, be innovative and inspired by our enormous collection of shared resources. As a company, Peaceful World Yoga truly lives by a common set of values, and as a result teachers feel more comfortable expressing their thoughts and ideas and more readily contribute their creativity in the classes they guide. PWY teacher function on their own internal compasses, rather than having a set plan for instruction and delivery methods. Because in the end, what's important are the children, the teens and the young adults entering college and the workplace. Our hope is that we can teach youth to love every part of themselves, one breath at a time. These Modules are also stand alone modules. Module One is our foundational Youth Yoga Teacher Training Module (23 hours toward CEUs) and is a prerequisite for the other Modules. Participants do not need to take all of the modules and electives to receive Youth Yoga Teacher Training. Once teachers have completed the requirements, registration with Yoga Alliance will be required to have the Registered Children's Yoga Teacher Training (RCYT) through their program. Please review their requirements carefully as they are currently reviewing standards and requirements. Yoga Alliance currently requires Yoga Teachers to have a 200-Hour Yoga Teacher Training Certificate before they can register for a RCYT. Please inquire with Yoga Alliance to vary their certification policies. If you are not interested in registering with Yoga Alliance, you will still be eligible for the Peaceful World Yoga Certification and have the opportunity to interview and begin working in one of our community programs OR, Peaceful World Yoga Mentors will work with you to help you find schools and other facilities to build programs. for information regarding workshops and trainings. 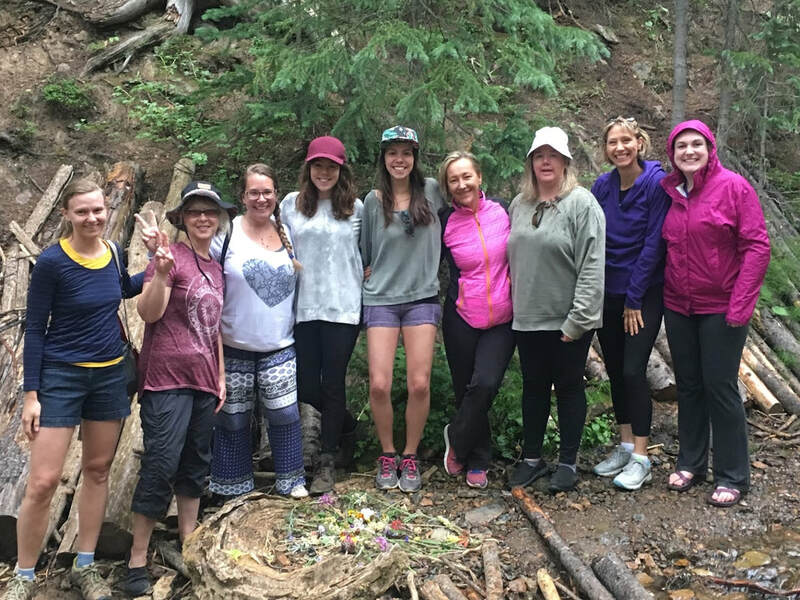 Peaceful World Yoga is a Colorado based program and provide workshops and training across the state as well as in Washington State, California and Florida. More cities coming soon!